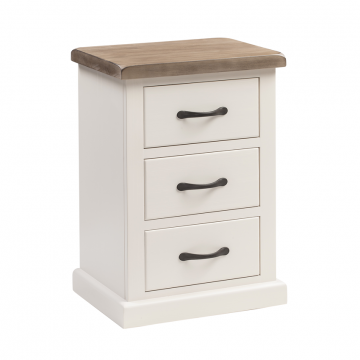 Choosing your bedside table can be as important as you want it to be. To some it's just something to put our phone on before you go to sleep, to others they're stylish pieces of furniture which work in harmony with your bed frame. 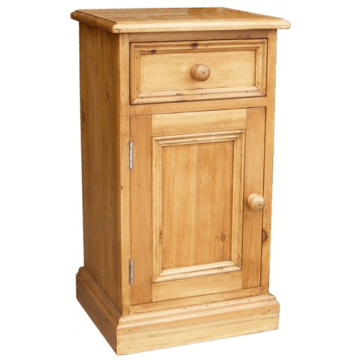 Regardless of your feelings towards bedside tables, it's worth keeping a few things in mind when shopping for one. The ideal height for bedside tables is whatever the height of your mattress is, or where your pillows sit. This creates a visually pleasing horizontal line whilst making it easy to place down items such as reading glasses or a glass of water. If you have a small bedroom, using floating shelves instead of a bedside table can help maximise floor space and de-clutter your room. Probably the important factor, unless you're going for style over substance. First have a think about what you're looking to store, what's going in the drawers and what's going on the surface. If you don't need storage for your underwear and socks then you may not even need drawers, though it's usually worth getting at least one as you're bound to need the storage eventually. You can even get ones with doors instead of drawers, further increasing your storage space. Glass - Great at creating light and space in a room, due to its transparent qualities. Glass is also easy to clean. Metal - Comes in a wide variety of styles, a matt or shiney finish, smooth or textured. Like glass, metal is also easy to clean. You may not have as much choice on this as others do, really it all depends on the material you've decided upon for your bedside table. If you do have an option of colours, you should look for colours that compliment the space rather than trying to blend in with other colours in your room. Choosing a colour which is similar to the material of the bed frame or divan base you have also works. 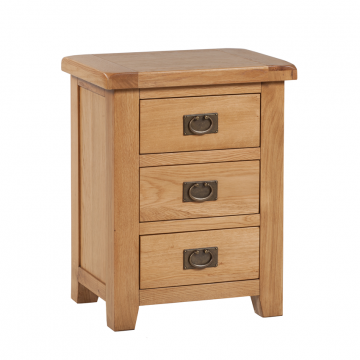 Check out or fantastic bedside table collection by clicking here. 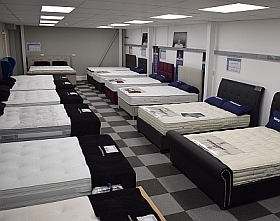 Your independant mattress and bed retailers providing outstanding savings to Bournemouth, Christchurch, Wareham, Swanage, Dorchester, Blandford, Wimborne and Poole! Chromotherapy - What Colour Should You Paint Your Bedroom?